The participation of VueTel Italia in Open Hub Med, the first neutral hub for the exchange of Internet traffic in the Mediterranean basin, is now getting into full swing. The Italian company has joined the consortium with other founding members (Interoute, Fastweb, Eolo, XMED, MIX, Supernap Italia, Equinix Italia and Italtel). The hub is about to become operational in the Sicilian headquarters of Carini (PA); with the presence of 25 submarine cables, the Mediterranean is set to become the area in which lie the main hub of telecommunications between Africa-Asia-Europe-America. Within Open Hub Med, the role of VueTel Italia, group specialising in international telecommunications services with a primary focus in North Africa and in sub-Saharan Africa, is to develop interconnections to ensure efficiency, quality, competitiveness and safety. It is an international IP Transit services and connectivity, international dedicated lines (IPLC), dedicated Ethernet circuits (Carrier Ethernet), virtual private networks (MPLS VPNs). Through network technologies and the latest generation access, a high-capacity backbone fully redundant and hubs that connect major submarine cable landing station with terrestrial fibre optic networks, VueTel Italia international data services are able to improve and increase connectivity of the African continent and around the Mediterranean. “We want to be a carrier and a global player more and more strategic towards Africa. Our presence in Sicily is in fact added to that already active in the other centres of connectivity including London, Marseilles, Frankfurt, Milan – explains Giovanni Ottati, CEO of VueTel Italia – This neutral infrastructure hub to and from Africa allows us to support the development of major projects of new cables or Branch Unit with our users including Libya, Tunisia, Algeria, Benin, Angola- continues Ottati – Today the Mediterranean represents the main hub of the global telecommunications, a crossroads of infrastructure that connects Europe, Africa, Asia and North America. In this context, Sicily has a privileged geographical location and potential which to date have not been fully exploited due to lack of adequate terrestrial infrastructure capable of sorting the traffic conveyed by the submarine cables. 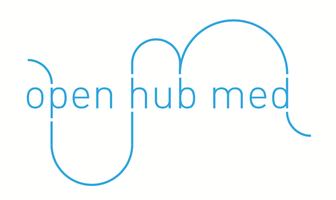 The Open Med Hub project, to which we have given life together with the other partners, wants to reverse this trend and finally give Italy a pivotal role in the TLC international scene, like the one that is about to be launched in Carini with a neutral and open technology platform able to provide international telecommunications operators diversified routes and improvements in quality and competitiveness services, in synergy with the structures already existing as, for example, the hub of Marseille”. VueTel Italia plus, the Mediterranean in the centre: VueTel Italia provides data and voice transmission services for all the Italian and foreign companies that need efficient links with all the countries of the Mediterranean. The data service is based on telecommunications infrastructure already present in the Mediterranean, to ensure the best conditions of quality, safety and competitiveness. Active in North Africa and sub-Saharan Africa since 2009, the group has given now the opportunity to enjoy a better Internet connection (higher capacity and redundancy) than in the past to 31 million inhabitants divided between Benin and Angola. Unlike other similar projects carried out by companies operating in the sector, VueTel Italia aims to build and develop a network whose focal point over the years will be increasingly shifted to the southern coast of the Mediterranean, focusing on the African continent. This is possible thanks to the experience in the wholesale voice industry and knowledge of local markets. In this area the company is consolidating its presence through the opening of a new Network Operation Centre in Egypt and the strengthening of the existing NOC in Tunisia, in addition to investing strategically in Libya.